Palestinian president Mahmud Abbas is expected to appoint long-time ally Mohammad Shtayyeh as prime minister in the next few days after backing by his Fatah party, senior officials said Thursday. Analysts view bringing in Shtayyeh to replace outgoing prime minister Rami Hamdallah as part of Abbas's efforts to further isolate his political rivals Hamas, who run the Gaza Strip. The central committee of Fatah backed Shtayyeh to take over the post during a meeting earlier this week, the senior officials said on condition of anonymity. 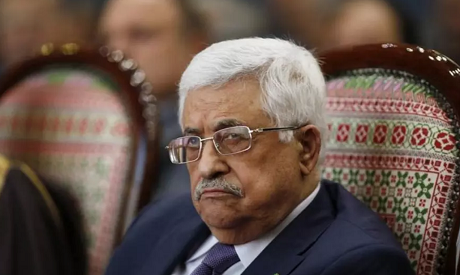 The recommendation is not binding on Abbas, but he is expected to back the decision, the officials said. Shtayyeh, born in 1958, is a long-term Abbas ally and member of the Fatah central committee. He would replace Hamdallah, who was politically independent. He is also an academic and economics professor. Hamdallah's government submitted its resignation in late January, though it has continued on an interim basis. Secularist Abbas remains the primary decision-maker and interlocutor with the international community. Palestinian politics has essentially been paralysed since 2007, when Islamist group Hamas seized control of the Gaza Strip from Abbas's forces in a near civil war, a year after winning parliamentary elections. Since then Abbas's governments have maintained limited self-rule in the occupied West Bank, while Hamas has led a rival administration in Gaza. This government will instead be dominated by Fatah, though other smaller parties will be represented. Hamas will not be included.